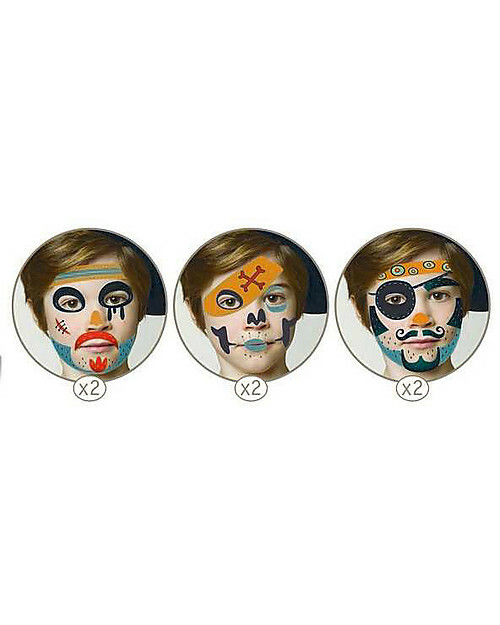 Who do you want to be for this party? Halloween, Carnival or fancy dress parties, the face paint set by the French brand Djeco is suitable for any occasion, even if only for one day you want to be someone else! 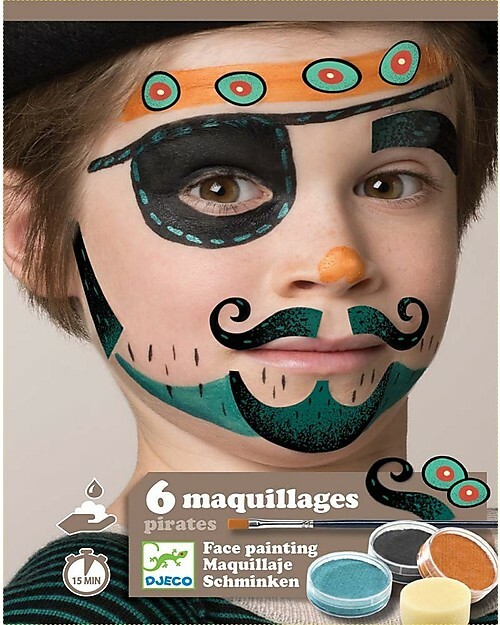 In this case it will bring you to the magic world of pirates! 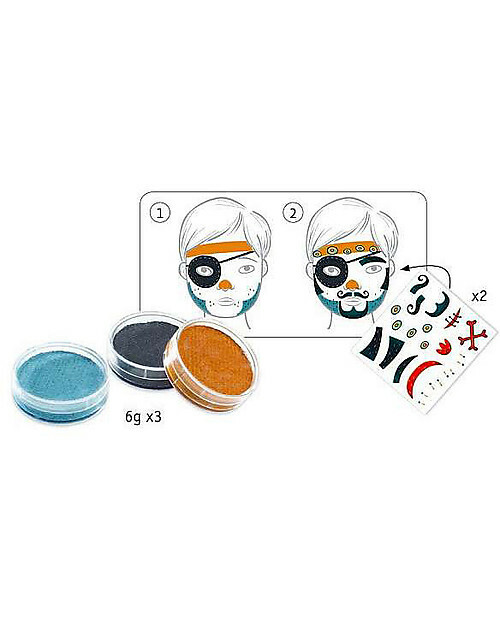 This make-up set includes 3 different colours, stickers and stencils, to have the possibility to create 3 different make-up! Just follow the instructions! 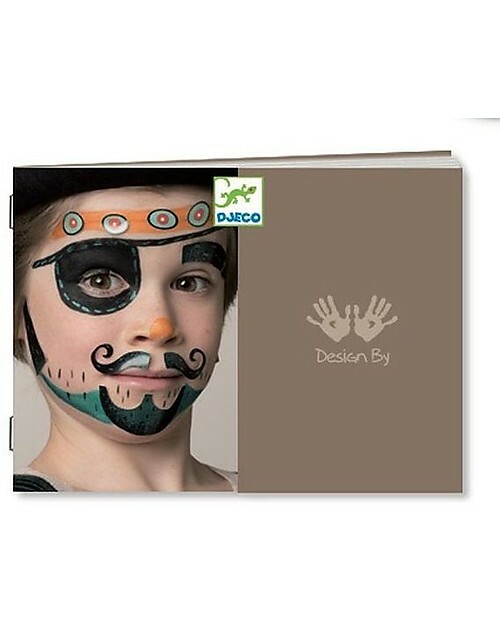 Completely safe and compliant with European standards, Djeco games are made with respect for people and environment!